Below is a summary of the key of G major. A key is defined when we create chords from a scale by stacking thirds on top of one another. A third spans three alphabet letters (e.g. G to B, or B to D). The G major scale is diatonic, in that each of the seven letters of the musical alphabet appear in order, and the scale formula (the distances from one note to the next) will contain five whole steps (two frets) and two half steps (one fret). The F# in the scale is to ensure there is a whole step between the 6th and 7th scale degrees (the numbers written above the notes) and a half step from the 7th back to the tonic, G. The sound of the major scale is created by the whole-whole-half-whole-whole-whole-half sequence. We commonly use Roman numerals to define the triad chord qualities in a key. Upper case numerals representing major triads, lower case for minor triads and the degree symbol (°) is added to the lower case numeral to denote a diminished triad (found on the 7th scale degree of the major scale). Triads contain three notes, and we add an additional third above the fifth of the triad for a seventh chord. Note how not all the major triads are major 7th chords. The seventh chord created from the fifth scale degree (which can be named the ‘dominant’) will be a dominant 7th (R-3-5-b7). 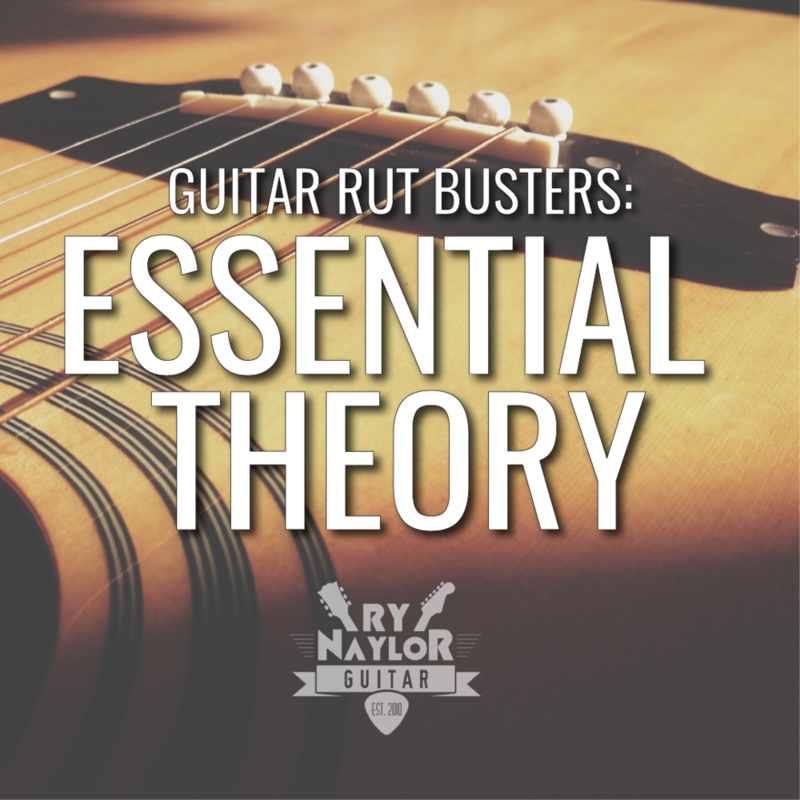 My theory course ‘Guitar Rut Busters: Essential Theory’ goes through major scale theory in detail and shows you how the chords (triads) in a key are defined. Seventh chords and modes will be coming in the next instalment!